Instagram decided to give users an early Christmas present this year, or at least that was their intention – they removed spam and inactive accounts from the service to improve the integrity of the platform. There were some mixed reactions and a number of lessons learned from what happened next. Leading up to the #InstagramPurge, users were notified that their numbers of followers could change during the cleanup process. Most people didn’t pay much attention because few realized the actual volume of spam and inactive accounts that existed on the platform. Then, people started losing followers. Some faster than others. As expected, Celebrities and public figures were hit the hardest. Justin Bieber went from 23.8M to 20.3M followers (a loss of 3.5M), Kim Kardashian went form 23.5M to 22.2M (a loss of 1.3M) and Beyonce went from 22.2M to 21.4M (a loss of 800K). Interestingly, the biggest loser was Instagram’s own account, going from 64.1M to 45.2M, which represents a whopping loss of 18.9M followers! You can see the breakdown of how the top 100 Instagram profiles were affected by the Instagram purge here. User @chiragchirag78 went from 3.6M followers to 8. Yes, just 8 followers! This represents a drop of 99.9998%. 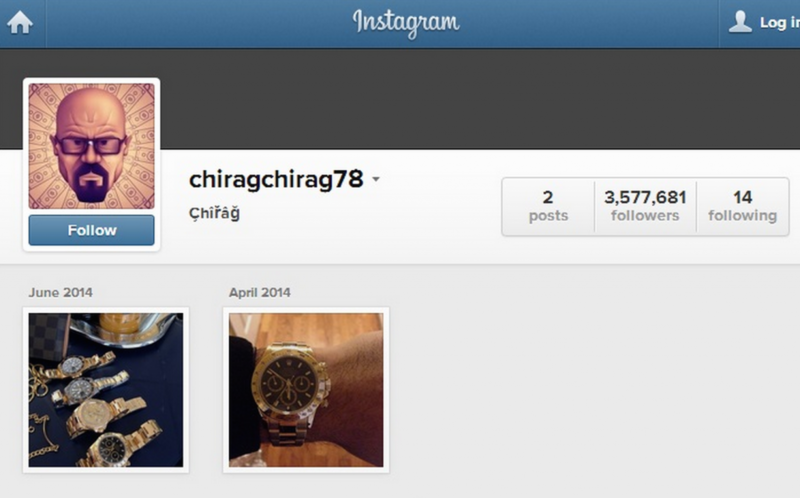 In response, the person behind @chiragchirag78 deleted the account immediately after the Instagram purge. Rapper Ma$e lost so many followers in the Instagram Purge that he deleted his account! Clearly a sign that he had purchased fake followers in the past. We’ve said it before, and we’ll say it again. As marketers, it’s reckless and lazy to look at only the number of followers. You could have millions of followers, but if none of these followers engage or interact with you, then the number of followers is meaningless. For example, Nike lost a quarter of a million followers during the Instagram Purge. Here’s their number of followers and change in followers from December 17 to 20. However, their Engagement Rate from December 17 to 20 stayed fairly consistent. The Instagram Purge brought to light how silly it can be to fixate only on follower numbers. Followers are still valuable to measure, but must be used in combination with other metrics to have any value. At the end of the day, more relevant followers means that you have the potential to engage, reach and convert more people.